Submit your film via FilmFreeway. Brasov International Film Festival & Market is the most important and renowned nonviolent film festival in the world. For the 4th year consecutive, the Festival takes place in the beautiful resort city of Brasov located in the heart of Romania. A total of eleven films are presented each year; of these, nine films are screened in-competition and two are screened out-of-competition on the opening and closing gala nights. Each film in-competition is awarded in one of the nine Official Awards categories (reference “Awards & Prizes” hereunder). The films submitted must be in English language or in any other language with English subtitles. * Winners receive Award Trophy with Certificate of Authenticity signed by artist (trophy is handmade by local artist) and an Award Certificate. The submission fee is €75 (US $100) per film. The Festival does not wave submission fees and it does not reply to letters of filmmakers who ask wavers; instead, the Festival blacklists such filmmakers forever. The Festival does not pay for mailing/shipping costs. The Festival does not pay screening fees. The Festival does not return DVD copies and/or any other materials (such as stills, media kits or posters). If your film is selected, you will have to provide one (1) DVD copy that is screen-ready and in English language or in any other language with English subtitles. The Festival accepts nonviolent feature films only; minimum running time: 85 minutes. 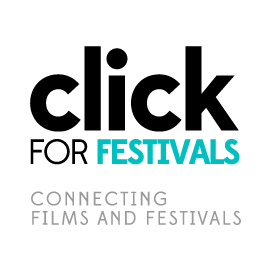 The Festival does not accept documentaries, short films and animation films. If you submit a violent film, a documentary, a short film, an animation film or a screenplay they will not be considered and the €75 (US $100) submission fee will not be restituted. Contact the Festival at info@brasovfilmfestival.com if you have any questions.